Come and join our coaching staff and Royals family for one of the most popular camps in the Charlotte area. Our camp emphasizes learning and improve the fundamentals and skills of the game in a safe environment. Campers will be grouped by age, gender and ability to enhance their learning experience. Competitions will emphasize sportsmanship and competitive play. Our camp is designed for all ages and different skill levels. We offer a full day and half day options. Our full day camp includes lunch every day. 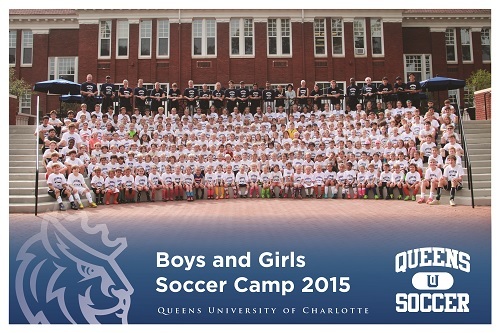 Thanks to your support and enthusiasm we had more than 800 campers join us for the Queens Soccer Camp last 2015 summer. We’re so glad that you were a part of this exceptional experience for our coaching staff, current players and campers.